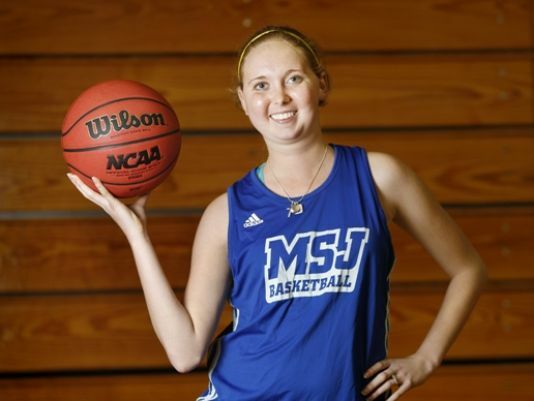 The Cristian Rivera Foundation is very saddened by the passing of Lauren Hill who succumbed to DIPG this morning, Friday April, 10th 2015. Her courage and drive was an inspiration to all of us. She will never be forgotten. Author adminPosted on April 10, 2015 December 20, 2016 Categories DIPG NewsTags Hill, Lauren, PassingLeave a comment on The Cristian Rivera Foundation is very saddened by the passing of Lauren Hill who succumbed to DIPG this morning, Friday April, 10th 2015. Her courage and drive was an inspiration to all of us. She will never be forgotten. Today we would like to extend our heartfelt regards to the family of our angel Javier “Buji” Villamil, who earned his wings three years ago today. Help us stop DIPG before another child is lost too soon. 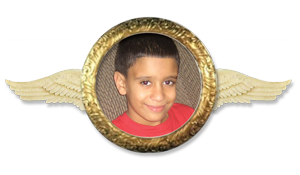 Author adminPosted on January 4, 2013 December 20, 2016 Categories DIPG NewsTags Buji, Javier, Remembering, VillamilLeave a comment on Today we would like to extend our heartfelt regards to the family of our angel Javier “Buji” Villamil, who earned his wings three years ago today. Help us stop DIPG before another child is lost too soon. Everyone at the Cristian Rivera Foundation would like to express our condolences to the family of Olivia Boccuzzi, a beautiful girl who earned her wings this past Monday, August 20, 2012 after battling against a brain stem tumor for exactly 11 months. From the moment of her diagnosis, her parents Frank and Enza never gave up hope. They were close friends to The Cristian Rivera Foundation. During their search to help their daughter, they met John Rivera, father of Cristian Rivera and he informed them about Dr. Mark Souweidane & his work associated with children’s brain tumors. Dr. Souweidane met the Boccuzzi’s and he ended up performing a biopsy on the tumor. Olivia had a brain stem tumor but it could not be determined whether it was DIPG or not. This delightful young girl loved dancing like a ballerina, watching Dora the Explorer and playing with her 4-year-old brother James. Olivia was full of energy and love. She is a pioneer in the world of DIPG. Rest in Peace, Olivia. We will never forget your beautiful spirit. Everyone at the Cristian Rivera Foundation would like to express our condolences to the family of Valentina Bravin, a beautiful 5-year-old girl who earned her wings this past Thursday, July 12th after battling DIPG for almost 1 year. From the moment of her diagnosis, her parents Eric and Christina never gave up hope, and with the help of Valentina’s grandfather, they started the Friends of Valentina foundation to raise money for medical expenses. Friends of Valentina was able to hold a few fundraisers on Valentina’s behalf last fall, raising thousands of dollars to greatly ease the family’s financial burden. 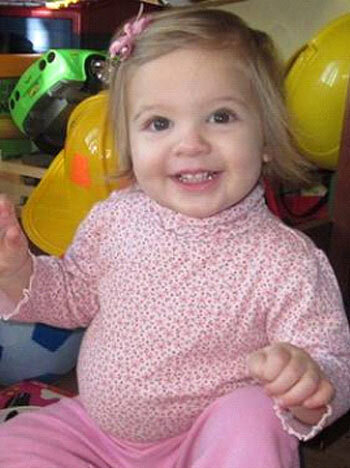 Valentina was a student at St. Luke’s nursery school in Farmingdale, NY, and was an avid lover of ballet, ice skating, and Barbie dolls. Known to the world for being a fighter, Valentina brought hope to lots of people, including John “Gungie” Rivera, the founder of the Cristian Rivera Foundation, who featured Valentina as a Child With Hope at the 3rd Annual Cristian Rivera Foundation Gala last September. Rest in Peace, Valentina. We will never forget your beautiful spirit. Mesenchymal Transition and PDGFRA Amplification/Mutation Are Key Distinct Oncogenic Events in Pediatric Diffuse Intrinsic Pontine Gliomas. PLoS One. 2012;7(2):e30313. Epub 2012 Feb 28.Puget S, Philippe C, Bax DA, Job B, Varlet P, Junier MP, Andreiuolo F, Carvalho D, Reis R, Guerrini-Rousseau L, Roujeau T, Dessen P, Richon C, Lazar V, Le Teuff G, Sainte-Rose C, Geoerger B, Vassal G, Jones C, Grill J. Department of Neurosurgery, Necker-Sick Children Hospital, University Paris V Descartes, Paris, France. Diffuse intrinsic pontine glioma (DIPG) is one of the most frequent malignant pediatric brain tumor and its prognosis is universaly fatal. No significant improvement has been made in last thirty years over the standard treatment with radiotherapy. To address the paucity of understanding of DIPGs, we have carried out integrated molecular profiling of a large series of samples obtained with stereotactic biopsy at diagnosis. While chromosomal imbalances did not distinguish DIPG and supratentorial tumors on CGHarrays, gene expression profiling revealed clear differences between them, with brainstem gliomas resembling midline/thalamic tumours, indicating a closely-related origin. Two distinct subgroups of DIPG were identified. The first subgroup displayed mesenchymal and pro-angiogenic characteristics, with stem cell markers enrichment consistent with the possibility to grow tumor stem cells from these biopsies. The other subgroup displayed oligodendroglial features, and appeared largely driven by PDGFRA, in particular through amplification and/or novel missense mutations in the extracellular domain. Patients in this later group had a significantly worse outcome with an hazard ratio for early deaths, ie before 10 months, 8 fold greater that the ones in the other subgroup (p = 0.041, Cox regression model). The worse outcome of patients with the oligodendroglial type of tumors was confirmed on a series of 55 paraffin-embedded biopsy samples at diagnosis (median OS of 7.73 versus 12.37 months, p = 0.045, log-rank test). Two distinct transcriptional subclasses of DIPG with specific genomic alterations can be defined at diagnosis by oligodendroglial differentiation or mesenchymal transition, respectively. Classifying these tumors by signal transduction pathway activation and by mutation in pathway member genes may be particularily valuable for the development of targeted therapies. 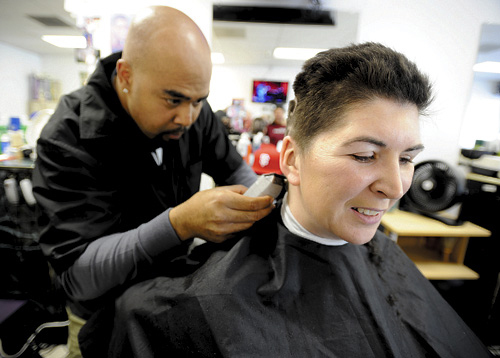 Weary of grieving, a young Fairfield mom who lost a son to brain stem cancer three years ago took a bold step Thursday in her journey toward healing — she shaved her head. And embedded two important words on the newly buzzed canvas — CURE DIPG. “As fun as all this is, it’s really about the kids. 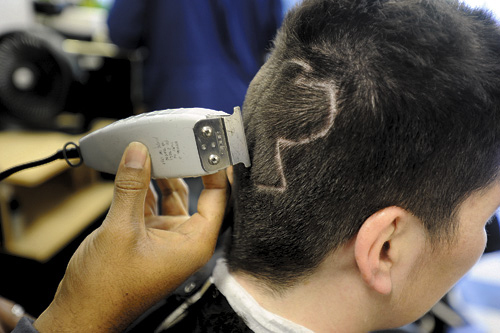 Remembering Dylan and honoring the kids,” emphasized Danah Jewett, 34, as she fingered her spiky new do compliments of Randy Hill at J’s Barber Shop off Sunset Avenue in Suisun City. Touched by her cause, Hill donated his services. Jewett’s son, 5-year-old Dylan, died of the rare and inoperable Diffuse Intrinsic Pontine Glioma (DIPG) in 2009 just two months after his diagnosis. Not much is known about the condition, so the family donated Dylan’s brain tumor to Stanford University School of Medicine for further research. His cells were the first living specimen of DIPG in the world and resulted in significant discoveries, including the cell of origin. By understanding which cell causes the tumor, Jewett said, scientists can further understand the disease. Dylan’s mom hopes to bring more awareness of the disease, as well as of the courageousness of all children who are living with cancer. “My job, as Dylan’s mother, is to make sure his memory lives on, raise awareness about this deadly cancer and tell others about DIPG, and hope that funding will somehow become available,” she said. “Children are dying and there is a way to make it stop.” Still coming to terms with her own loss, Jewett sponsored the inaugural “Dylan’s Warriors Prayer Walk” in Vacaville’s Lagoon Valley Park last September. A sequel is planned for this September, complete with run/walk T-shirts and giveaways of gold and gray ribbons representing childhood cancer and brain cancer. Details will be revealed by June or July. In recent months, Jewett’s heart has remained heavy. Her family, which includes husband John, who is stationed at Travis Air Force Base, and a son, 4-year-old Jayden, encouraged her to do more for herself. So she did, literally using her head as a tool. Visiting her hairstylist at “Twisted” in Fairfield, Jewett had her long brown locks separated into 56 braids. Friends and family donated $10 or more per braid for cancer research and, beginning on the anniversary of Dylan’s death, she began cutting one braid each day. Meanwhile, she also communed with her faith, delved deep into herself and prayed for renewal. 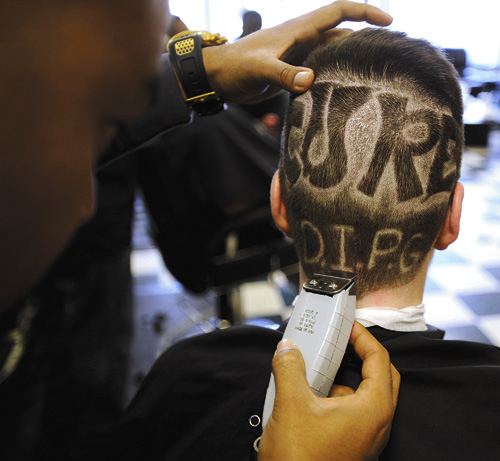 By having “CURE DIPG” nearly carved into her head, Jewett said there’s no way that she won’t generate notice for the condition. Her braids had already caused a mild sensation — the new hairdo is likely to generate an explosion. Even children have asked about DIPG, Jewett said, recalling a 9-year-old girl at church who was so inspired by Jewett’s hair that she gave her a $5 donation and pledged to do more to help. Thus far, Jewett has raised about $400 for Lucile Packard Children’s Hospital for DIPG research and plans to donate her hair to Locks of Love, an organization that makes wigs for cancer patients. For more information, go online to www.curedipg5.com or www.facebook.com/curedipg. The Fifth Annual Race For Grace will be held March 31 at Norwin High School. The race, which includes a five-kilometer run, five-kilometer walk and a one-mile walk, will benefit the Reflections Of Grace Foundation. 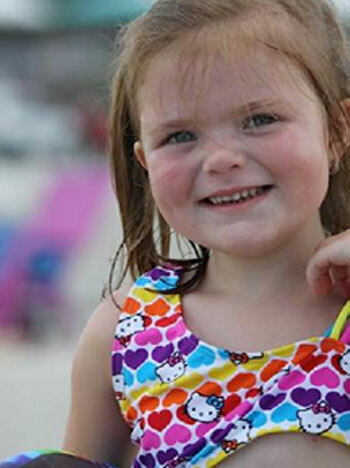 The race and the foundation it benefits are named for Grace Elizabeth Ekis, a 5-year-old who died on Valentine’s Day 2008 after a 13-month battle with a rare brain tumor, according to the foundation’s website, run by Brian and Tamara Ekis, Grace’s parents. The foundation provides financial, educational and emotional support to the families of children with brain cancer. Grace’s cancer was a diffuse intrinsic pontine glioma, or a tumor of the brainstem that has no known cure and for which no advances in treatment options have been made for more than 30 years, according to the website. The website describes it as one of the worst forms of childhood brain cancer. Approximately 150 to 200 children are diagnosed with this type of tumor each year, and survival time is typically nine to 12 months. In 2011, the race had 1,800 registered runners and walkers, 300 volunteers and 300 spectators, and raised more than $88,000 for the families of children with brain cancer. That was an increase in funds raised from 2010, when 2,000 attended and more than $70,000 was raised for the families of children with brain cancer. Opening activities for the 2012 race will begin at 7 a.m. March 31, and the race itself will start at 9 a.m. at the high school at 251 McMahon Drive, North Huntingdon. Registration fees will be $25 for adults and $20 for children age 12 and younger. A waiver must be signed for each participant, regardless of age. The Reflections Of Grace Foundation is a nonprofit organization; www.reflectionsofgrace.org. Coronado’s Village Elementary School Student Council representatives presented a check for $379 to the McKenna Claire Foundation, a foundation dedicated to finding the cause and the cure for Pediatric Brain Cancer. The fund drive was part of the student council’s year-long project to raise money and awareness for underfunded issues that impact children. 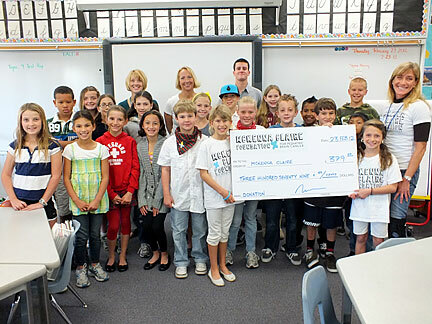 Each month, the Village Elementary Student Council selects a different cause to support. January’s cause was pediatric brain cancer. Previous months focused on juvenile diabetes and pulmonary hypertension. March will be dedicated to raising money for the Coronado Schools Foundation. For every cause, the student council decorates and distributes classroom “coin” jars, collects and counts the money, posts signs around campus and encourages students to learn more about these very important issues. Student council advisors, Ms. Shady, Ms. Garner, and Mr. Elderson, encourage students to build community and support philanthropic efforts. All three teachers emphasize that this project has been completely student driven, making it even more special. Fifth graders, Jack Outlaw and George Farley, raised the idea of supporting the McKenna Claire Foundation. Both said they heard McKenna’s story and wanted to help other children. McKenna, a vivacious, seemingly healthy, 7-year-old from Huntington Beach was suddenly diagnosed with a rare, inoperable brain stem tumor called Diffuse Intrinsic Pontine Glioma (DIPG). DIPG tumors, like many pediatric brain tumors, have very low survival rates. 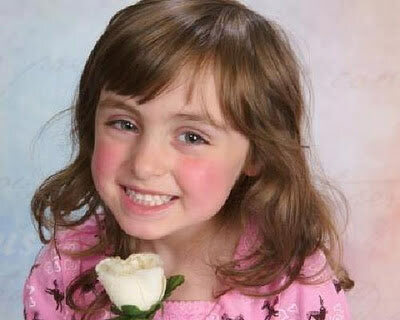 In July 2011, McKenna Claire lost her battle with cancer just six months after diagnosis. The McKenna Claire Foundation’s mission is to cure pediatric brain cancer by raising awareness, increasing community involvement and funding research. One of the foundation’s near-term objectives is to raise money for innovative research being conducted at Stanford University’s Monje Lab. Using cell cultures from children who have donated their tumors to research, including McKenna Claire, the Monje Lab is dedicated to understanding how DIPG tumors originate, the molecular signals that drive their growth, and novel ways to treat DIPG. To learn more or donate visit: mckennaclairefoundation.org. For more information about the Monje Lab please visit: http://neurology.stanford.edu/labs/monjelab. Charlotte Christian-Payton Walker-Miss Mecklenburg. Photo courtesy of Charlotte Christian. Charlotte Christian freshman Payton Walker was named the 2012 Miss Mecklenburg Outstanding Teen Jan. 21. The program is part of the Miss America scholarship pageant. Payton will spend the next year participating in community service in the area and will represent Mecklenburg County in the Miss North Carolina Outstanding Teen Pageant, to be held in June in Raleigh. Payton’s platform will include raising awareness about diffuse intrinsic pontine glioma, a rare pediatric brain cancer. Payton is at the top of her class at Charlotte Christian, where she serves as a student ambassador and student government president.